A few weeks ago I shared my Lemon Ricotta Cheesecake Cups which used lemon curd. Since I had some lemon curd leftover I was wondering what other ways I could enjoy it. 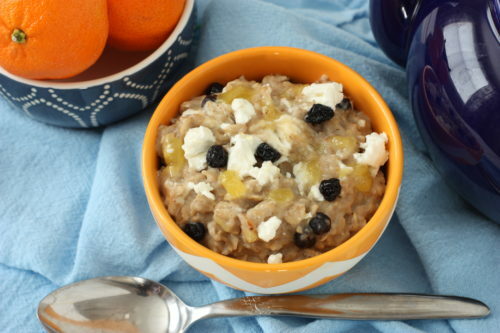 What came to mind was a variation of my Date and Goat Cheese Oatmeal. I swapped out the dates for a bit of lemon curd and dried blueberries, and added ground cloves. 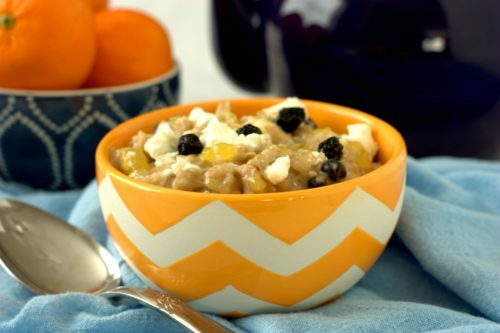 The resultant Lemon and Blueberry Oatmeal was every bit as delicious as the original recipe. In fact, it might even be an excuse to keep lemon curd always on hand. 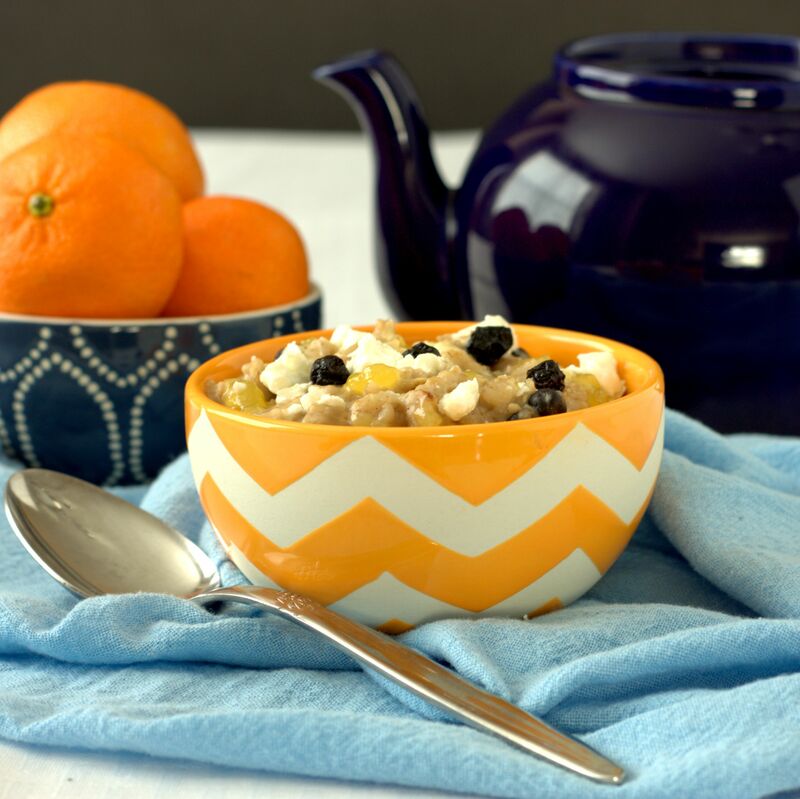 Combine oats, water, cloves, and salt in a microwave safe bowl and microwave on high for 2 ½ minutes (alternatively, you can make the oatmeal on the stovetop by boiling the water, stirring in the oats and cooking for 5 minutes). Remove from the microwave and stir in the goat cheese until the cheese begins to melt, then stir in the lemon curd and blueberries and serve. Makes 1 serving.